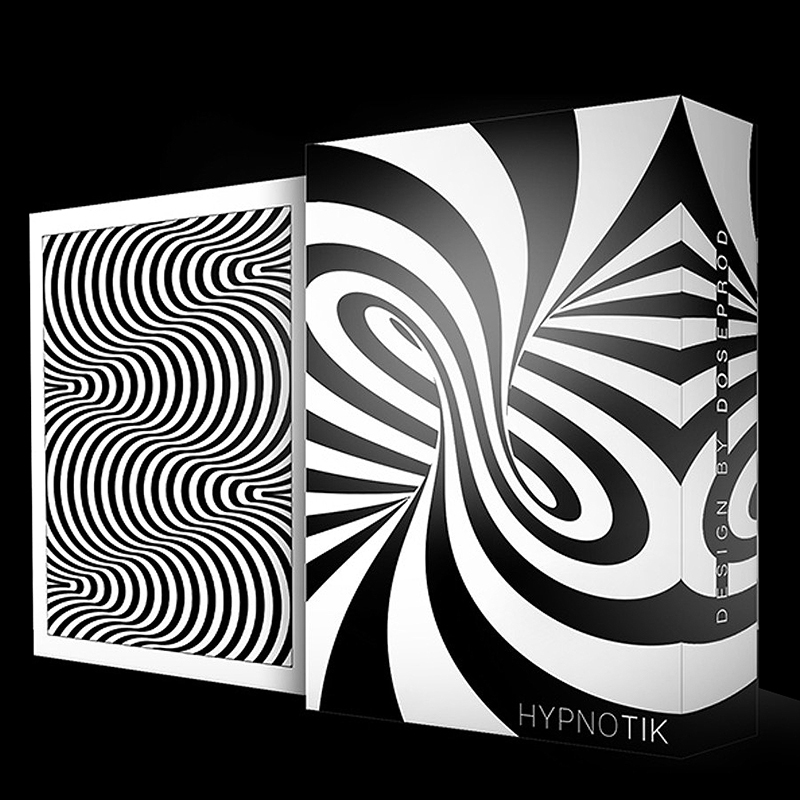 The HYPNOTIK Playing Card Deck brings you a simple, but eye-catching illusion, mixed with artistic and pure design by Sam Hayles. A deck of cards for magicians, poker players, card enthusiasts and collectors. The Deck: - 52 cards + 3 customized jokers. - White bordered backs. - Wrapped tuck-box without seal + wrapped cards inside. - Cartamundi standard faces and pips, with optical illusion effect. - Court-cards: optical illusion faces. - True Linen B9 Finish so the cards will be smooth and flexible for super handling. - The deck will be printed in Belgium by Cartamundi. About the Designer: Sam Hayles aka DOSEprod is a French-Scottish graphic designer based in Edinburgh, Scotland, UK. As a music and cinema addict, this dreamer has easily been invaded by an artistic atmosphere! • The cards are poker size.